My journey with the music of Maurice Ravel began at the age of five, with an album of orchestral assortments, ending with said composer’s hypnotic Bolero. Never before hearing a work whose theme repeats over and over again for 16 minutes, I was struck by how excited I was to hear the next repetition. The reason: the orchestration. A year later, another album of orchestral assortments came to my attention and this time it included a work composed originally for piano and orchestrated by the “composer of Bolero”, as I embarrassingly called him aged six. I was transported to a world of wonderment, terror, humour and grandeur. By the end, I was riveted. The reason: the orchestration. At the age of eight, when I began competing in piano competitions, I was hearing other contestants play works of Ravel. From the grace and intimacy of his Sonatine to the wildness of his Scarbo, Ravel’s piano music intoxicated, delighted and obsessed me. After the piano competition, I could not wait to buy his piano works and start devouring them like assorted chocolates: each centre was so different, but with that incredible Ravel coating. The concoction: the orchestration. My apologies, Forrest Gump, but these programme notes coming up will be borrowing from your famous parallel of life and a box of chocolates. So here we go: Ravel’s piano sound world is like a chocolaterie, and the beauty is not knowing beforehand what each moment will taste like. flavour combining a graceful mixture of puckish harmonies, velvety washes of sound by means of runs, arpeggios and dynamics, and finally, after the second bite, the deceptive simplicity and inevitability of the melody…the caramel centre as it were. The Sonatine, written in 1905, is the chef’s, Ravel’s, homage to the 18th century… musically, a sweet and rich beverage served in a porcelain teacup. The palette is beautifully subtle, with the primary ingredient being a descending 4th. It is an ingredient that will govern the first and last movements, with the second movement, the centre again, being a Mouvement de menuet as delicious and unpretentious as a chocolate sable. Now, something for the adventurous…anybody ever try hot chocoate with a garnish of night moths? Miroirs, also composed in 1905, takes the listener on a roller-coaster ride of his/her life. We are now getting into a palette that is pungent, aromatic and shocking. Talk about not knowing what you’re gonna get! This work was perhaps the most daring piano work any composer had written thus far. In place of tonal triads are uses of vertical and horizontal chromaticism, whole-tone scales and clashing dissonances. The form of each movement is no longer cut and dried; the writing is now prose, with every moment unexpected and dramatic, the descriptions in each movement vivid. From the Night Moths fluttering, to the melancholy sighing and chirping of the Sad Birds, to the rocking of the boat in the ocean, to the bite of the guitar in the jester’s Morning Song, to, finally, the chiming and bonging in the Valley of Bells, the listener has gone through a feast of emotion, colour, rhythm and daring harmony. Now the listener is ready for anything….bring it on! With Ravel’s Gaspard de la nuit, composed in 1908, the pieces that the listener has heard before comes full circle. Starting with the shimmering C-sharp major triad coloured with an additional A, the beginning of Ondine is literally a splash of water to what has happened harmonically with Miroirs. Ondine goes back to the sound world of Jeux d’eau, but adopts the descriptive vividness of Une barque sur l’océan. The melody of Ondine coolly glides, seduces and almost entices her subject to surrender…but laughs and explodes in derision when spurned. The barren landscape that is Le gibet is chilling in its depiction of a lone corpse hanging and reddening in the sun. The repeated notes of the macabre returns in Scarbo, returning to the sound world of Miroirs’ jester and turning it on his head in a terrifying movement. 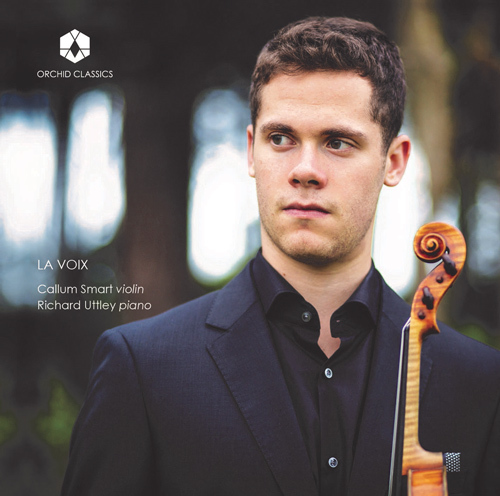 After the storm comes the rainbow: the album ends with Ravel’s Pavane pour une infante défunte. Although the earliest work on this album, the palette of the Pavane provides a fitting close. The finale is not only subtle but delicate like the exterior of Ravel’s chocolaterie…the exterior of Ravel himself…enticing the listener to what lies in store the next time the listener returns. 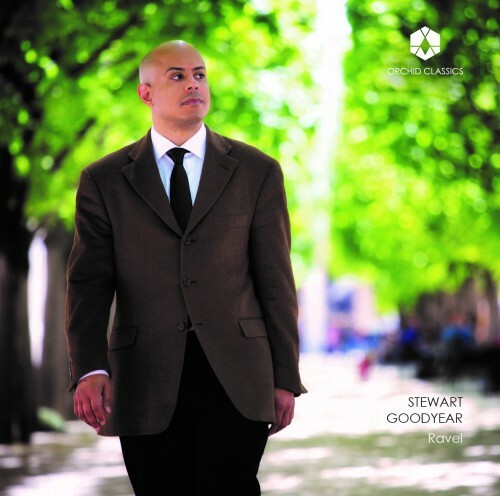 Proclaimed “a phenomenon” by the Los Angeles Times and “one of the best pianists of his generation” by the Philadelphia Inquirer, Stewart Goodyear is an accomplished young pianist as a concerto soloist, chamber musician, recitalist and composer. Mr. Goodyear has performed with major orchestras of the world , including the Philadelphia Orchestra, New York Philharmonic, Chicago Symphony, Pittsburgh Symphony, San Francisco Symphony, Los Angeles Philharmonic, Cleveland Orchestra, Academy of St Martin in the Fields, Bournemouth Symphony, Frankfurt Radio Symphony, MDR Symphony Orchestra (Leipzig), Montreal Symphony, Toronto Symphony Orchestra, Dallas Symphony, Atlanta Symphony, Baltimore Symphony, Detroit Symphony, Seattle Symphony, Mostly Mozart Festival Orchestra, Royal Liverpool Philharmonic, and NHK Symphony Orchestra. Theatre, the Mondavi Center, and the AT&T Performing Arts Center in Dallas. Mr. Goodyear’s discography includes Beethoven’s Complete Piano Sonatas (which received a Juno nomination for Best Classical Solo Recording in 2014) and Diabelli Variations for the Marquis Classics label, Tchaikovsky First Piano Concerto and Grieg’s Piano Concerto, and Rachmaninov’s Piano Concertos Nos. 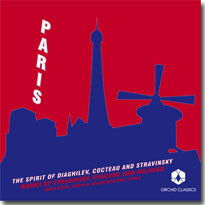 2 and 3, both recorded with the Czech National Symphony under Stanislav Bogunia and Hans Matthias Forster respectively, and released to critical acclaim on the Steinway and Sons label. His Rachmaninov recording received a Juno nomination for Best Classical Album for Soloist and Large Ensemble Accompaniment. Also for Steinway and Sons is Mr. Goodyear’s recording of his own transcription of Tchaikovsky’s “The Nutcracker (Complete Ballet)”, which was released October 2015 and was chosen by the New York Times as one of the best classical music recordings of 2015. Last summer, Mr. Goodyear made his recital debut at the Rheingau Musik Festival standing in for Maria Joao Pires, and two performances at the Frankfurt Museum-Gesellshaft under the baton of Lawrence Foster. This past fall, Mr. Goodyear performed his “Nutcracker” transcription at McCarter Theatre and the Phillips Collection, and highlights of 2017 include his return engagement with the Toronto Symphony, and his debut at the Savannah Music Festival performing the complete Beethoven piano sonatas in one day.